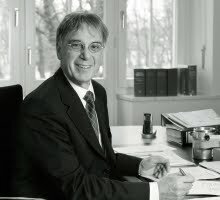 Under the strong headline "the current European patent system does not match the applicant's reality any more", the Staff Union of the EPO (SUEPO) recently published an interview (in German) with Dr. Eugen Popp, President of the German Patent Bar Association (Patentanwaltskammer) from 2004 to 2009. Mr Popp articulately expressed his critical view on current developments in the European patent system and reported that, as a consequence thereof, a tendency exists among applicants to increasingly file applications with selected National Patent Offices (NPOs) instead of centrally with the European Patent Office. He advocates for more transparency in the EPO's decision-making process and calls for restructuring the Administrative Council of the EPO and for recruiting more examiners to reduce the backlog and increase patent quality. The European Patent Office certainly was a huge success, the EPO certainly was very user-friendly and the EPO has therefore been truly accepted. The way the EPO dealt with users of the system really was perfect. But currenly that is changing to the detriment of users, so that there now exists a competition between the EPO and National Patent Offices (NPOs). It might be the case that the NPO's become increasingly user-friendly and thus more attractive to applicants. followed by a short concluding section under the headline "future, ideas, opportunities". This interview is remarkable, since it is one of the rare cases in which a high-ranked representative of the patent community expresses his severe concerns in an exceptionally definite way. I wonder if a sitting President of the German Patent Bar Association would ever make such clear statements in an interview. It appears to be the privilege of former office holders to express clear attitudes without being regarded captious. In any case, we should be grateful to Mr Popp for sharing his sensible thoughts with us, which, according to my opinion, are worth being supported by both industry and legal professions - not to mention the Staff Union of the EPO. The current Administrative Council, however, will most probably not welcome Mr Popp's analysis overly enthusiastic. Composition of the AC: The members of the Administrative Council (AC) are representatives of the Nation Patent Offices of the 37 EPC member states, usually their Directors or Presidents. Mr Popp considers this construction extremely problematic, since it leads to increasing conflicts of interests, especially with respect to the allocation of fees. Besides this, the patent system is part of economic policy and thus national political interests are also at play and, in fact, seem to increasingly dominate European patent policy. Instead, the economic policy of the EPO should be formulated by the AC on the basis of true European interests and not so much based on special national interests. Mr Popp therefore agrees with Bruno van Pottelsberghe's suggestion as to open the AC to representatives of politics, industry, legal professions or sciences. The AC should be restructured, to adapt its composition to the higher-order interests of the EPO, which are not only represented by the NPO's but also by industry, academia and the legal professions involved. Influence of interest groups in the AC: It is a matter of fact that the so-called observers, e.g. epi or Business Europe, have only very little influence on the AC's decision making process, which leads to increasing frustration among the observers' members. Meanwhile, the growing dissatisfaction forced attorney's organisations from Germany, France, Britain and possibly also from the Netherlands to establish a „European Patent Attorney Network“ in order to gain additional influence in the AC. The concerns of the patent attorney community are shared by industry, whose corresponding associations start to cooperate on this issue as well. The EPO's information policy: There is no general lack of documentation regarding the work of the AC, in fact, the EPO even "spams" the individual organisations with information. The problem is not the quantity of information but its lack of structure and sometimes late arrival, which makes a feedback from individual epi members practically impossible. In fact, comments must be prepared by individuals, that often are overwhelmed, in particular because of time constraints. Public access to documents of the AC: This would, on the one hand, increase both transparency and input from different perspectives and other stakeholders and, on the other hand, not be unmanageable for the EPO, since meaningful observations would most likely only be prepared by very few parties, such as legal or industrial organisations from England, France, Germany, the Netherlands and perhaps also from Austria. This would certainly enrich the decision-making process with additional substance. Conclusion: The AC must be completely reformed and the transparency of its work must be increased. Only this measure would ensure that all relevant parties are involved in the decision-making process. This, in turn, would also ensure that the wishes of applicants are considered to the required extent. Currently, one gets the impression that the AC essentially focuses on the internal structure of the EPO and the proper functioning of the office, whereas the applicants's needs only play a secondary role. User's reactions on the priorities of the EPO: During recent trips to Japan and the U.S. Mr Popp received questions on whether it still makes sense to file European patent applications or whether one should better file nationally. In fact, after the recent amendments to the Implementing Regulations to the EPC one indeed has to ask whether or not European filings are still advisable. If the application is long and complex, if the invention is particularly important, and if it is sufficient to have protection in a few European countries only (like in the automotive industry), the applicant should carefully consider to file nationally. According to a private survey carried out by Mr Popp, a European patent application is only about 4.000 to 5.000 EUR cheaper than national filings in Germany, England, France and Italy. The national way, though, appears more flexible, especially when considering the new rules for filing divisional applications (Rule 36 EPC) in Europe and the pressure that is put on applicants under new Rule 62a and 161 EPC. This should indeed alarm the EPO. Competition between EPO and NPO's: The EPO was a huge success, the EPO certainly was very user-friendly and the EPO has therefore been truly accepted worldwide. The way the EPO dealt with users of the system really was perfect. But currently that is changing to the detriment of users, with respect to both the way proceedings are conducted and the relationship that is established with the users. In this regard, the EPO competes with the NPO's which become increasingly user-friendly and more attractive for applicants. At the EPO, examiners must be relieved from the current workload pressure in order to enable them to discuss an invention in detail with the applicant or his representative. This is the only way to ensure granting of high-quality patents in favour of the public and the competitors. Further weaknesses: The new limitations to filing of divisional applications under new Rule 36 EPC are unacceptable. There surely was a (negligible) abuse of divisional applications, but now all applicants suffers under the amended rules, which have not yet been accepted by the applicants at all. It also is a matter of fact that applications become more and more complex, simply since the underlying technology is becoming more complex. In this situation it is not acceptable that the EPO only calls for simpler applications in order to facilitate examination. The system now in force simply does not match the user-reality any more. According to new Rule 36 EPC, a 24-month time limit for filing divisional applications is set upon receipt of the first substantive Office Action. Very often it is not possible to decide whether a divisional application is necessary or appropriate within this limit. If, for instance, a second Office Action is issued after expiry of the 24-months term, an applicant may realise that he has to further limit his claims by an additional feature, which possibly has not been searched, so that the applicant cannot any more file a divisional application to utilise such non-searched features, since the 24-months time limit has already expired. In such cases, a sufficiently disclosed invention is actually "stolen" from the applicant for purely formal reasons. In fact, the applicant is "expropriated" to the respective extent. Attractiveness of national filings: The pharmaceutical/chemical industry has really complex applications and they often need a long time to decide which of their compositions are ultimately accepted and need to be protected. Regularly, the application is filed when the experiments, which may take about five to ten years, are still ongoing. If it then turns out that the best composition relates to a non-searched embodiment of the invention, the patent protection is gone. This is not acceptable for industry. The previously existing flexibility of the European system does not exist any more, so that national routes become more attractive, e.g. German patent applications for which examination can be requested within seven years after filing and divisional applications can be filed anytime before grant of the parent application. Increase of filing fees: The increase of filing fees is counterproductive; it is, in fact, a paradigm shift. Promotion of innovation and education has been advocated worldwide for ten or fifteen years. Now everybody is surprised that this lead to an increase of patent filings. Indeed, what really is surprising, is the fact that now the EPO is unable to cope with the respective (and predictable) increase of work. One cannot demand protection of innovation on the one hand, and, on the other hand, do nothing to manage the related higher workload. Thus, the statement that the work is no longer manageable is not acceptable. The EPO now tries to tackle the workload by higher filing fees, which does not appear to be the right way. So far, the approach was to have low "entry fees" for innovation protection, so that also individual inventors and SMEs can afford protecting their intellectual assets. The patent application always is the beginning of a business development and costs hurt at such early stages. A system can of course be completely killed if it becomes unattractive for potential users. The claims fees as an example: One such example is the new scheme of claims fees. It is understandable that an application with 110 claims requires more work than one with only 20 claims. Thus, the application with 110 claims may cost more. But a payment of 210 EUR for the 16th to 50th claim is not acceptable. Applicants consider this a "rip-off". An application usually comprises about 25 claims, such that other gradations of claims fees are certainly required. The current filing fees may sum up to 18.000 EUR to 20.000 EUR, which is extremely hard for an applicant and not comparable to the respective figures from the U.S., Japan, or China. As a consequence, foreign applicants ask their European representatives to reduce the number of claims, which may result in very strangely drafted and difficult to understand claims, since the re-drafted claims often comprise the subject-matter of numerous original claims. Such claims are confusing for the examiners, complicate their work and avoid the claims fees, which might not have been the original intention of the new scheme. Staffing policy and backlog: Mr Popp reported that he recently asked the Commissioner for Patents of the USPTO (Mr Robert L Stoll) why the grant rate dropped from 72% to about 45% within two years. The Commissioner answered that his predecessors wanted to reduce the backlog by making the patent system less attractive to applicants, which Mr. Popp considers the wrong way. Fortunately, the USPTO now re-thinks this strategy and currently increases the number of examiners again, which is a strategy that Mr. Popp has already recommended to Ms. Alison Brimelow, predecessor of Mr Battistelli as President of the EPO, on a related panel discussion. If the work - for whatever reason - increases, the staff must be increased as well in order to meet the requirements. Like in industry, where the number of employees is increased in order to serve high demands if business is running well. This should not be different in a Patent Office. If innovation and its protection is stimulated the structures and organisations involved have to be extended as well. One gets the impression that the EPO instead considers to utilise other resources, e.g. those of the NPO's via establishing a European Patent Network (EPN). European Patent Network: As to the idea to build the European Patent Network (EPN) allowing the EPO to utilise searching and examination resources of NPO's, Mr Popp is very strongly opposed. If an applicant pays filing and examination fees to the EPO, he expects the work to be done by the EPO. Of course, sharing certain resources is always possible, but not in the sense that a European patent search is replaced by a search of the Swiss or the Danish Patent Office. No applicant would ever object that existing search results may be used to improve the EPO's quality of search, but for this an EPN is not needed. Today, examiners can immediately check existing search results of family member applications to be in a good position for an own search. Additionally there also exists the so-called "Patent Prosecution Highway". These measures should be sufficient for sharing search results. The EPO should do its work basically itself, that is examination and seach. The EPO as a profit center: The EPO should not be viewed as a profit center any longer but return to the sovereign functions of a Patent Office. The EPO must not be run solely under economic aspects, but also based on the respect for applicants, their work, and the public. It even wouldn't be a problem if the EPO would have to be financially supported by the EPC member states, because like any other Patent Office, the EPO does not only serve applicants or users, but also serves the public as a platform for distributing technical teachings and as being responsible for free competition by properly examined patent applications. Since the EPO provides such services to the public, it may, if necessary, also be supported by the public, i.e. by national tax payers. It is absolutely the wrong way, to organise a European authority to be profitable for national authorities or EPC member states in the first place. It is fine if the system turns out to be profitable, but this must not be the general maxime. Responsibilities of the EPO: The President of an Office does not only have to ensure that his Office works efficiently, but he also has to ensure that his office's system is consistent with general political framework and responsibilities. If innovation and protection of innovation is to be promoted, especially in a global context, the Office has to be appropriately supported and the President must be committed to obtaining the required resources. Otherwise, the system runs out of control.